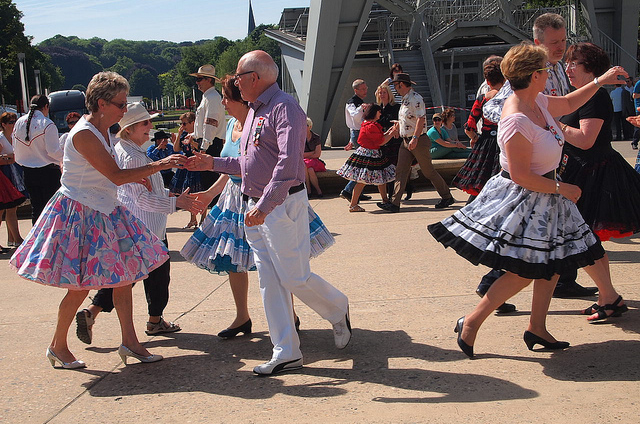 Square dancers; photo by The Integer Club on Flickr (use permitted with attribution). The Mormon Pioneers loved the square dance for entertainment and to relieve the rigors of harsh frontier life. 22 states have passed legislation to declare the square dance as a state symbol and more than 30 bills have been introduced at the federal level proposing the square dance as the national (folk) dance of the United States.